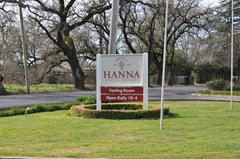 Hanna Winery and Vineyard's Russian River Valley tasting room is just on the outskirts of Santa Rosa. 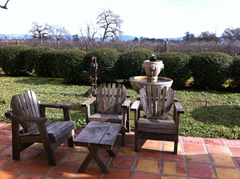 We are blessed with living in the heart of Northern California’s wine country. Even though we live very close to many wineries, we somehow always find ourselves driving to further ones to go wine tasting. So, when we wanted to go wine tasting a couple of weeks ago, we decided to change that, and start with the winery that is probably the closest to home. 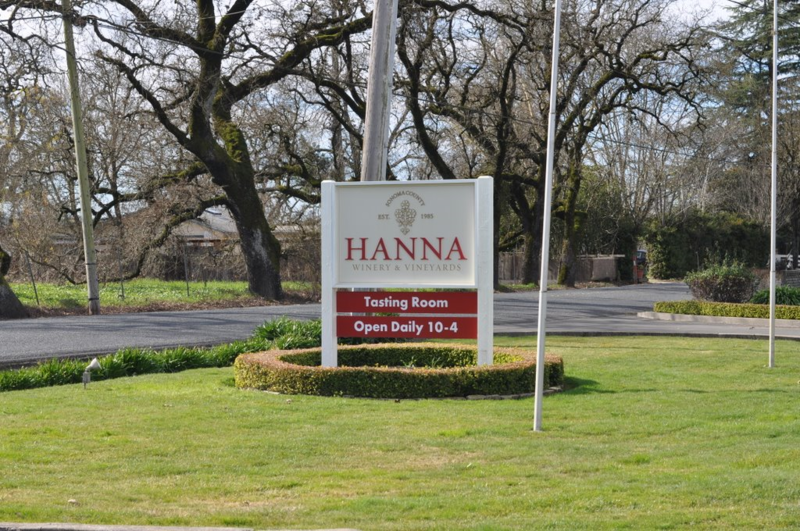 Hanna Winery and Vineyards is only about a 10 minute drive from our home and that makes us truly spoiled! 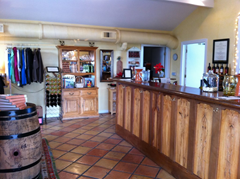 Hanna is a family owned and run winery. They grow their own grapes and crush them themselves. 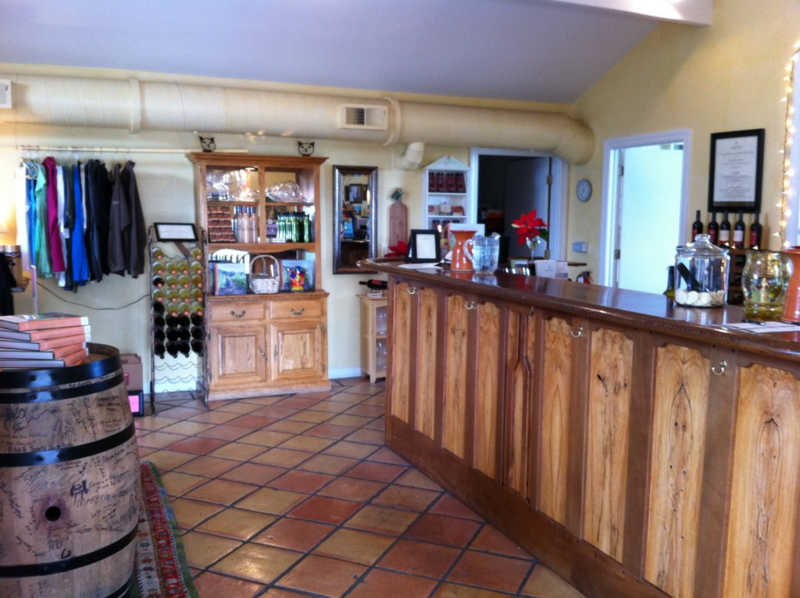 They actually have a second tasting room in the Alexander Valley and a third in San Francisco, but we visited their tasting room on Occidental Road, just on the outskirts of Santa Rosa in the Russian River Valley. Despite being within city limits, the setting is beautiful, with the tasting room surrounded by row upon row of grapes. The front of the winery has a lovely tile courtyard with a small seating area next to a pleasant fountain. They offer two “Classic” or one “Reserve” tasting free with your Visa Signature Card. 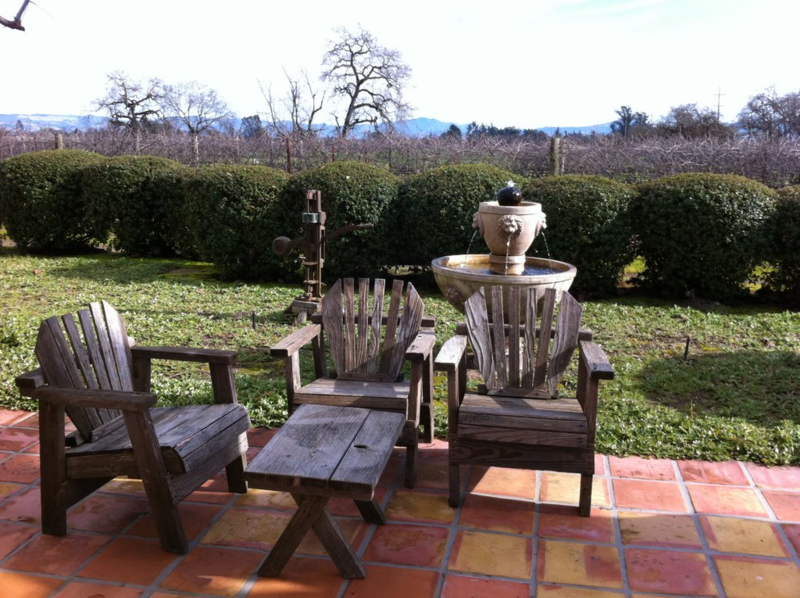 Hanna Winery and Vineyard's Russian River Valley tasting room has a small seating area in their courtyard where you can enjoy views of their Pinot Noir vineyard. 2009 Sauvignon Blanc – This was the only white wine we tasted at Hanna. It was very fresh and crisp. 2008 Pinot Noir, $35 – The Russian River Valley tasting room is actually in the Hanna Pinot Noir vineyard, making it the rather perfect place to try it. We found this Pinot Noir had a rather big taste with a clean finish after a burst of cherry. 2004 Bismark Mountain Cabernet, $52 – Grown in the highest spot in Sonoma County, the poor soil and altitude combine to give this Cabernet a sharpness and a bold taste. Unfortunately it wasn’t one we liked. 2005 Sonoma Valley Syrah – This had quite the bite and an aftertaste that we didn’t enjoy. 2003 Syrah – We found it fruitier than the 2005 Syrah. It should have about a year left. Titan, $58 – This was our favorite of all the wines we tried at Hanna. It’s a Bordeaux blend with the exact percentages of different wines varying every year. Aged in oak, it has definite chocolate with a smooth, mellow finish. 2006 Bismark Mountain Zinfandel, $52 – Not as juicy/jammy as we’d like. They did pair it with chocolate, which was a pleasant treat. Nice post I have yet to make it to wine country. I have read a lot about the wine tasting in CA and would love to visit.